Touch rugby this Saturday: 9AM START! It’s that time of the week when you are more than ready to start thinking about the weekend! What better way to kick it off (excuse the pun) with a nice and EARLY game of touch rugby? 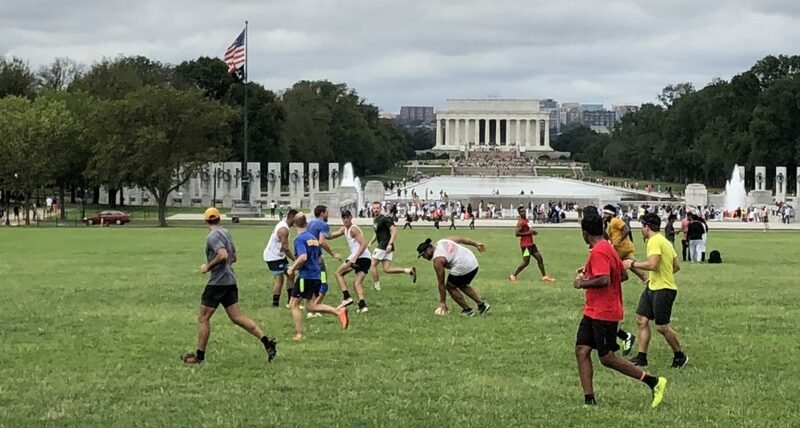 Yes that’s right, summer seems to be fully upon us and to avoid the near 90 degree temperatures this Saturday morning, we’ll rally the players for a game at 9AM (same place). You got it, 9AM instead of 10AM this week. Let us know if you’re in with a “the early bird catches the pop pass” or a “sleep sounds better than awesomeness”. See your sweaty-selves out there on the field! NB: If there is huge backlash to starting an hour earlier, or if people generally like playing in the scorching heat, then we can work with the start time. However usually we start at 9AM in the summer and push it back to 10AM in the winter so consider 9 our “normal” start time! This entry was posted in Uncategorized and tagged Rugby Union, Sports, touch rugby by dctouchrugby. Bookmark the permalink. Entry $20 – Donation to Washington DC Youth Rugby Program, a 501c3 non-profit (EIN:26-2820897). 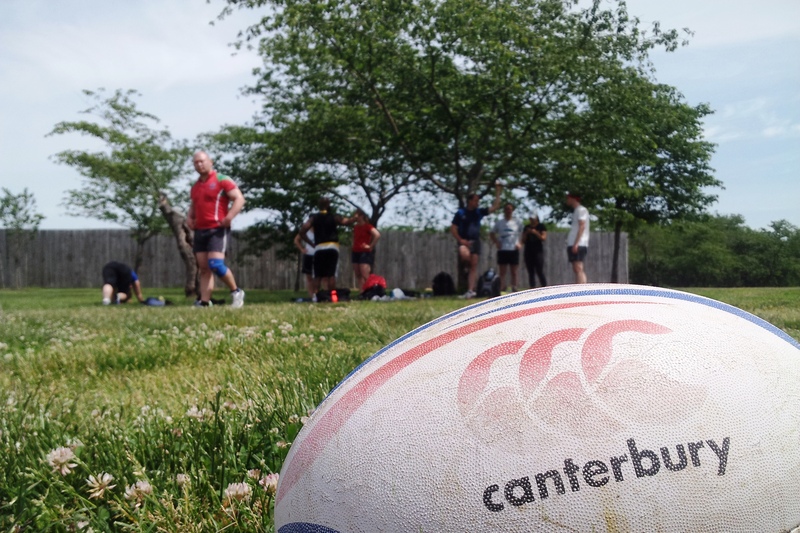 The mission is to promote health and fitness through the game of rugby. Children benefit from continuous physical activity while learning teamwork, decision-making and sportsmanship. sounds good. Come on the Lions! I’m in! for Saturday and probably this reception thing too. Posting an earlier rugby time won’t slow me down. I know your tricks… I’m in! As an avid h8er of summer in DC, I support this change wholeheartedly. In! in for 9:00, I will change my habits and I will be drinking on thursdays better than fridays to be ready!!! I’m in for 9am. I’m looking to get back out there after a long time away. I am in for 9am as well (reluctantly). Also going to the Embassy reception on Friday. Time to do some Wallaby bashing in advance of the real thing. I’m in for 9am. Apologies for bailing on memorial day – completely forgot and slept in. Prob can’t make it on Sat. I also wholeheartedly protest the time change and vote for 10 to continue forever! I’m in also up for the Embassy do as well. Me and Kira are in for 9 AM. Scorching heat doesnt bother me as much as waking up early, but its all good either way…..
Might be there if I kick this cold by tomorrow. Sorry it’s been a while, I’ve been out of town, but can’t wait to play again.